I went hiking two times today, in the same place no doubt. 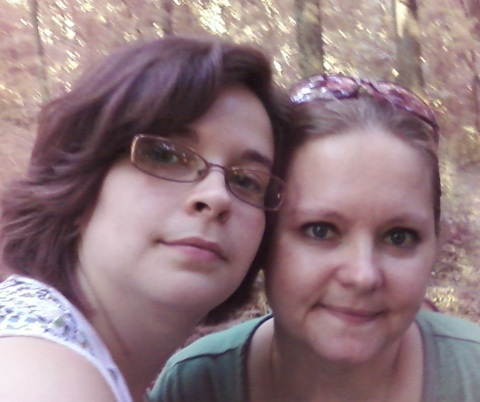 My husband and I went to the Hudson Park and hiked the trails along the Salamonie River. 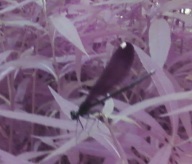 We were happy in seeing some dragonflies and did not realize we had hiked far enough to see a bridge a few miles away. Sweet! We also ran into a group of teenagers who were role-playing battles with foam swords and cardboard shields. We were able to tell them about JourneyQuest and got an invite to join them again next week. Awesome! On the down side, the drought is in full swing here. 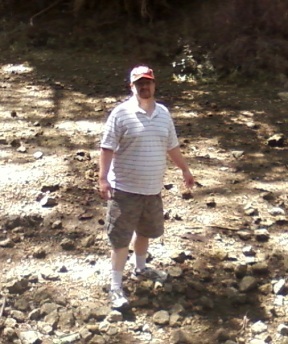 At one point, my husband was actually standing IN the dry river bed. Kind of dis-heartening for the local farming community. Fortunately for my spirits (no pun intended), my best friend showed up and wanted to do a little hiking too. She and I followed the same trails so I could show her how dry the river was. Little did we know that we were in for a surprise of another kind. We began by walking around the Hudson Park grounds, taking pictures of the lake and wildlife. We were talking, enjoying eachother’s company and snapping photos now and again. We came upon the spot of the dry river and I was excited to show her just how low the river could go. We decided to snap a picture with both of us. Hmm.. the camera that has been working all this time is not working right. Wait a second! 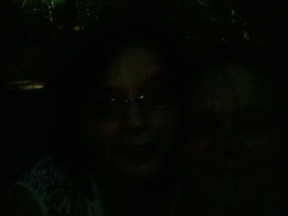 It only takes strangely distorted pictures when we are in this exact spot. Is the light in the way? No, we turn around and get the same problem. Is the thumb in the way? No, we take a few other pictures while making sure all appendages are where they should be. Photo in a diff spot. We decide to go to another location and snap photos. No problem. We get lovely pictures. Suddenly, my friend’s phone rings. Her phone has gone to her tarot card application and brought up the Five of Swords. This card just happens to have people running around with swords in front of a river. Wow! We are feeling the goose bumps now. 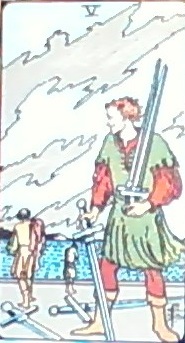 This is the exact picture that showed up on the Tarot app. Next week, we are going back with a different camera and an audio recording device. Even with the dry river, we may catch something yet!